An attractive website with high usability is what the businesses and web designers’ aim. Achieving this is easy with the use of CSS or Cascading Style Sheet. The style sheets give the designers greater control over the different elements of designing of the website. It will save a great deal of time of the professional in the process of designing a website, especially if you have to make certain changes in the website. CSS also helps in creating an attractive website accessible across different browsers and in different versions. With the HTML codes, you can experiment with the Style sheet and create a gamut of attractive designs and dramatic changes. Designers can change the different elements of CSS, without deterring any character of HTML. The combination of CSS and the markup language can make a web page accessible to the users across the web and ensure good user-experience to them. Attractive websites have an impact on the users and enable to convey the desired message of the website to the readers. Usability and accessibility are two important aspects of any attractive website. The consistency of the design and layout ensures the usability and the accessibility of any website and has a strong visual impact on the viewers. Accessibility of the website ensures that your site will be read in any resolution, it also ensures that the search engines will index your site. You will notice that in the majority of the websites have separate content and form. CSS aids in achieving the same and makes update easy and quick. The style sheets ensure that assistive technologies will interact with your website. In comparison to the table layouts used by the web designer to create a website, CSS has manifold advantages. With a style sheet, based layouts will have pages that load faster and this increases the usability. You need not worry about the accessibility of your beautiful website in the older versions of browsers, and they interact with the sites well. CSS does not work uniformly across all the browsers. With few tricks, you can make attractive websites. The codes will be clean with CSS layout. Designer also use buttons as part of the designing process. This buttons often serves as the Call To Action and determines the usability of the website. These buttons determine usability of the website and make it attractive. With CSS, you can stylize the buttons easily. You can even add images to the button to make it prominent among the other element in a webpage. Images also help in communicating the process of a particular button. 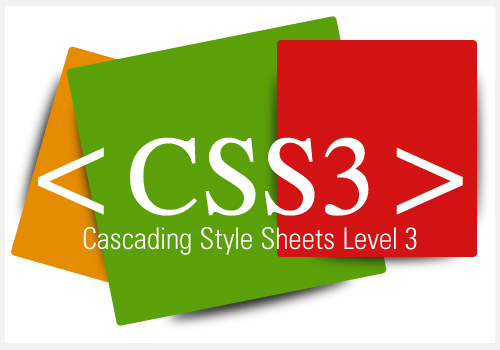 CSS helps in changing and updating the style of the page. The style sheets also help on differentiating between the links and the buttons. You can also opt for the button generators that help in creating the buttons that will heighten the impact of the website. Creating flexible buttons is also easy with the style sheets. With the help of few techniques, you can create sliding buttons for the website. These buttons are aesthetically rich buttons and scalable in nature. Another important role of CSS is in making the forms prominent. These forms play an important role in any website. Users provide their feedback through these forms especially in the e-commerce and social community sites. You can make your simple forms look special and attractive with the use of CSS. It will help you to enhance the aesthetics, usability and the layout of the form. With a little trick, you can do wonders on the existing design of the form. Combination of HTML codes and style sheets is all you need to create these forms. Author Bio: Alex Williams is a web designer and here in his blog he has enlisted the ways to create attractive websites with the help of CSS. You can go through the same and get an insight of the same. The main aim of responsive web design is to create a proper site associated with Cascading style or CSS sheets. These are associated with special HTML codes, which will help you to create some of the best and attractive designs, of all time. For the primary step, you have to deal with the accessibility of the websites, which can help in proper communication between the clients and users. However, you better try and look for the advantages of CSS and some positive aspect of this field, before jumping for a final say. You can try and also add images with the CSS template, for your use.